The chicken cacciatore is a typical second course of Tuscany, much loved throughout Italy. The recipe is quickly prepared, it is easy to cook, and it is very tasty thanks to the use of tomato, of the reduced white wine and of the sautéed vegetables. Wash and dry the chicken. Put a frying pan on the stove with oil, onion and garlic. Add celery and carrots cut into small pieces as soon as the onion is browned and after a few minutes put the chicken pieces with the previously washed and dried skin and add a pinch of salt. 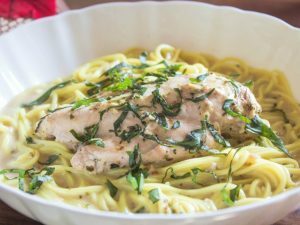 Pour a bit of white wine on the chicken, let it simmer until reduced and cook for 10 minutes, adding a few sprigs of rosemary. 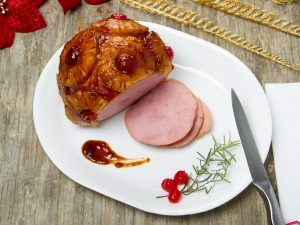 Add the cherry tomatoes and a little more salt, a pinch of pepper and cook for other 30 minutes over medium flame or until the chicken is soft. Before serving the course still warm, add parsley as much as you wish to your chicken cacciatore. The chicken cacciatore can be kept in the fridge for two days, if placed in a special container for food storage. If you wish, you can prepare a ligh chicken cacciatore by removing the skin of the chicken and dosing well salt and oil. It can be prepared in advance, and then heated before serving it with a sprinkling of chopped fresh parsley. If you want to cook the chicken cacciatore in the oven, just put it in a baking tray and cook for the first 10 minutes all the ingredients in the recipe up to point 5, then open the oven, mix and add also the cherry tomatoes, cooking for other 30/40 minutes. 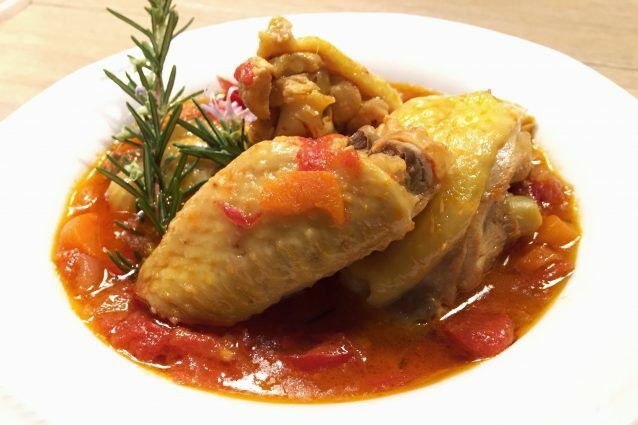 If, for the chicken cacciatore, you wish to cook only the chicken legs you can do it, following the same procedure described in the recipe. The true meaning of the name "cacciatore" is not clear, perhaps it is called chicken cacciatore because the ingredients are those of the vegetable garden, once easily available even by hunters (“cacciatore” in Italian) in periods of shortage, or because the recipe has origins in areas of the countryside where hunters used rosemary and garlic to cook their preys just killed and to prepare quick banquets using products always available in the farmyard and in the vegetable garden. 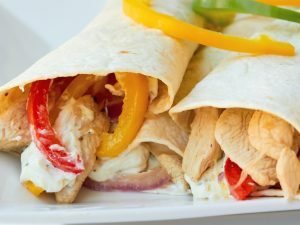 Herbs and Garlic Chicken Fajitas: this recipe will become a family favorite!